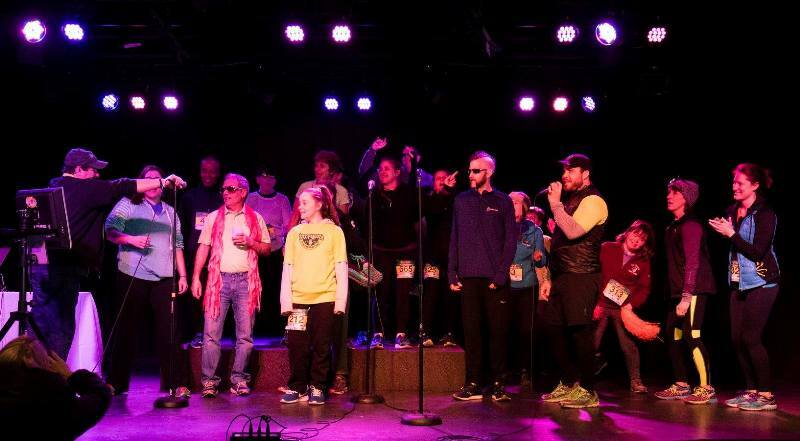 The LocoPalooza 5k & Karaoke Party kicks off with packet pickup at 7:30 a.m. on Saturday, February 16th at Blue Ocean Music Hall in Salisbury, MA. The race begins at 9 a.m. and the party goes until noon! Click a section below for more details. The LocoPalooza 5k features a flat and easy course that starts and finishes right by the beach in Salisbury! 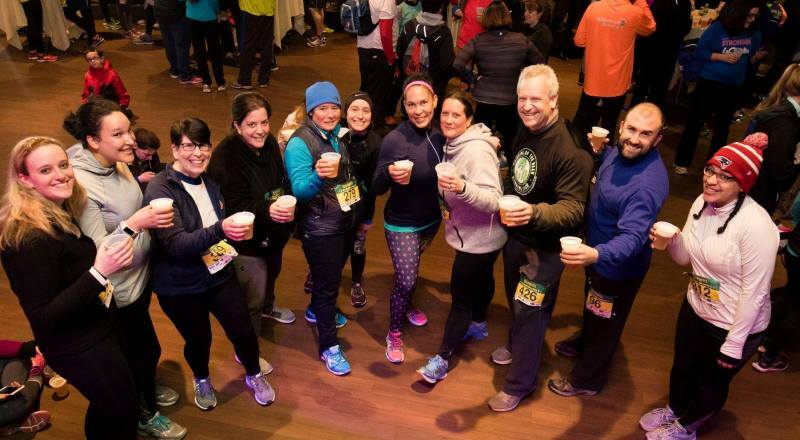 You’ll be treated to beautiful views of white sand beaches and roaring surf on the first leg of the course before coming to a wide expanse of the of the Great Salt Marsh at DCR Salisbury Beach State Reservation. You’ll then run by the ocean again to the finish at Blue Ocean Music Hall for some much deserved craft beers and an epic karaoke party with your friends! 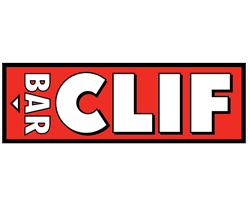 Not only do you get a wonderful day of amazingly scenic running, but you’re also treated to an awesome after-party, featuring FREE hot pizza, bananas, granola bars, and Hint flavored water. As if that weren’t awesome enough, runners 21+ get two tasty craft beer from our friends at Ipswich Ale Brewery! The best part? It’s all included with your registration! You might never win any money finishing in the top three at a race, but that doesn’t mean you can’t be a champion of another kind! Sign up as an individual or grab a friend for a duet as you show off your dance moves and your electrifying stage presence in front of your fellow runners! Spectators can join in the fun too! Sign Up For The Karaoke Contest! •	Each performance is limited to six people max. •	You get to choose the song, obviously. •	You only get one shot, so make it count! •	Winners will be determined by audience cheers – or jeers – and score some awesome Loco Races gear! 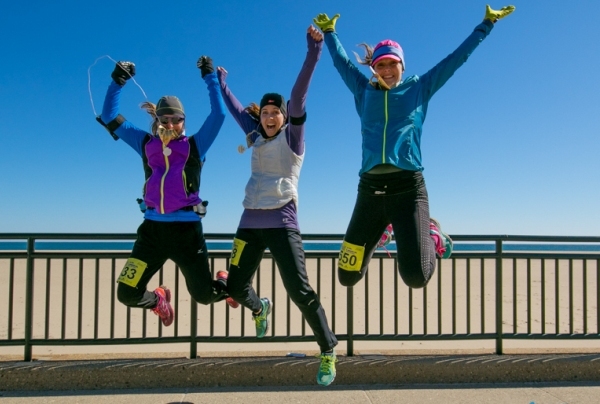 Packet pick-up will be held at Blue Ocean on the morning of the race from 7:30 a.m. to 9 a.m. where you’ll receive your bib and commemorative race tee! Shirts won’t be mailed out after the event if you don’t pick yours up, so don’t oversleep! The race starts and finishes at Blue Ocean Music Hall, 4 Ocean Front N, Salisbury, MA 01952. Please arrive by 7:30 a.m. to ensure you have time to park, check-in, and stretch before the race begins at 9 a.m.
There’s FREE parking on site at Blue Ocean! There are also several public lots nearby. Reserve your spot today at The LocoPalooza 5k & Karaoke Party!